Experienced litigators and partners at Schklar & Heim, LLC were recently recognized for excellence in the practice of law by Georgia Super Lawyers Magazine, a Thomson Reuters publication. There is no substitute for skilled lawyering and superior preparation in a tough legal battle. Super Lawyers Magazine, the industry-leading publication by Thomson Reuters, recently honored Edwin Schklar and Maggie Heim. Schklar made the list of Super Lawyers for the seventh time, an honor reserved for 5% of attorneys in the state. Heim was selected as a Rising Star for the sixth time, an honor given to only 2.5% of Georgia attorneys practicing less than ten years or under the age of forty. Both awards are determined by the Super Lawyers patented selection process, which includes attorney voting and independent research by their editorial team. 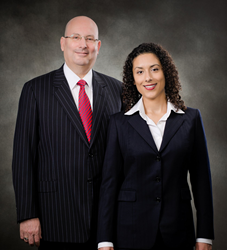 About Schklar & Heim, LLC: Schklar & Heim, LLC is an AV Rated law firm based in Atlanta, Georgia. The firm is nationally recognized for obtaining superior results in the most complex litigation matters, while providing unmatched attention to detail and client service. The firm routinely handles cases involving business litigation, legal malpractice, securities litigation, estate and trust litigation, and family law disputes.